he world, Judaism, synagogues and Jewish life are constantly changing to provide meaning to current and future generations. New technological advances challenge existing models of community and a gender equal playing field poses questions for us and our children. The FJMC Biennial Convention responds to these challenges on an individual, gender, family, community and Movement basis. The Awards ceremonies will include Quality Club Awards and Torch Awards, as well the Ma'asim Tovim Award for New England to Mark Druy and on Thursday evening a special Presidential Award to former International President (and New England Region member) Dr. Bob Braitman. Pricing can be found on the convention website here. Talk to your club about club subsidies. (1) Subsidies for first-time attendees and returnee attendees for the entire convention will be subtracted out from the price during the registration process. (2) New England Region - only subsidies for commuters (available only to those living within 100 miles of the convention site) and for the Friday night program will be rebated to participants from the New England Region after the convention. 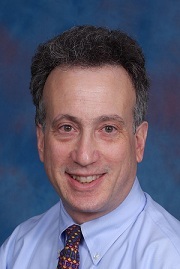 The New England Region FJMC's Dr. Robert Braitman will receive the prestigious FJMC Presidential Award Thursday, July 25th at the 2013 FJMC International Convention. Bob will be only the sixth recipient of this award that was created in 1949. 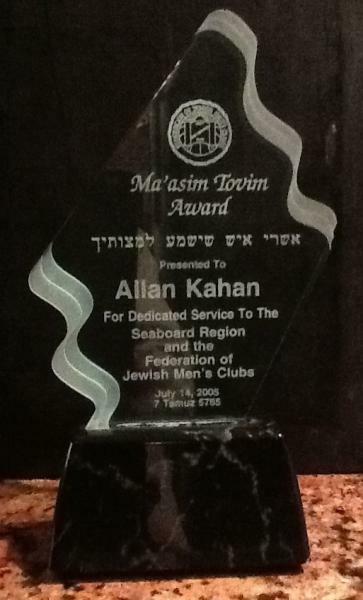 The award honors an individual who has contributed outstanding service to his community, to FJMC and who has made a difference for Conservative/Masorti Judaism worldwide. Bob's contributions to the Conservative/Masorti movement have also included his leadership in the creation of the CJ:Kolot the Voices of Conservative/Masorti Judaism magazine, his focus in FJMC on wellness in men and his creation of the FJMC signature "Hearing Men's Voices" program. Please join us in Danvers on Thursday evening, July 25th, to honor Bob at the convention in person. Dinner begins at (tentatively) 6:00 and Bob will be honored afterwards. You may reserve your space for dinner or for joining all or part of the convention by visiting http://www.nerfjmc.org/home/conventions. The Ma'asim Tovim (Doer of Good Deeds) Award is the highest recognition a Region can bestow upon one of its members. It is usually given to individuals who have worked on behalf of the region for many years. management consultant and is the author of several books on the staffing and management of high technology product development organizations. Mark is a business and product development manager for an analytical instrumentation company in Andover. In their spare time, Mark & Johanna are avid ballroom dancers. Mark is also an accomplished downhill skier and bicyclist. In particular, he enjoys riding his bike for numerous charities including Jewish Big Brothers Big Sisters and the New England Region Tour de Shuls ride (of which he is a co-chair) to support the Tikvah program at Camp Ramah of New England. Mark is a past president, treasurer, and recording secretary of the Temple Emunah Brotherhood and currently serves as the President of Temple Emunah, Lexington, MA. Prior to his term as President, Mark was the Vice President of Programming and Executive Vice President of Temple Emunah. He is currently the co-chair of the 2013 FJMC Convention, a member of the FJMC Executive Committee, and the Honorary President of the New England Region, in which he has previously held Treasurer and Vice Presidential responsibilities. Mark has been attending FJMC conventions since 2001 (Toronto, CA) and the 2013 convention will be his 6th convention. Mark’s early involvement in the Temple Emunah Brotherhood was as the co-chair of the Yiskor Book Fundraiser for several years which provided $15,000 yearly to the Temple’s operating budget. Growing up in a Reform tradition, Mark took advantage of many Adult learning opportunities at Temple Emunah and became an adult Bar Mitzvah in 2009. Mark is now a regular Torah reader at Temple Emunah and continues his Jewish learning. Opportunities are available to give recognition to Bob and Mark in the Convention Journal. The journal will run electronically on the FJMC website until the following convention in 2015 and will also be available for downloading to your e-reader. You may arrange for inclusion in the journal at http://wizadjournal.com/fjmc2013/.